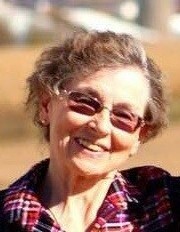 Mary H. Hetzel, 72, of Bloomer, died Friday, March 22, 2019 at St. Joseph’s Hospital in Chippewa Falls under the care of St. Joseph’s Hospice. She was born September 30, 1946 in Chippewa Falls to Paul and Marie (Neubauer) Hebert. Mary attended Chippewa Area Catholic Schools, graduating from McDonell High School in 1964 and UW Eau Claire in 1968. Her career as a social worker guided countless people and their families in making healthcare decisions. Mary is survived by her daughters, Laurie (Steve) Moyer of Plover, WI and Kelly Hickethier of Chippewa Falls; five sisters, Ceil Zappa of Bloomer, Barb (Jim) Lowe, Suz Hebert (John) Flanagan both of Chippewa Falls, Paula (Bob) Probst of Jim Falls, and Gwen Eastman of Chippewa Falls; brother, Art (Laura) Hebert of Chippewa Falls; two step-sons, Tim Hetzel and Tom (Mary L.) Hetzel both of Eau Claire; step-daughter, Tammy (James) Wick of Eau Claire; and numerous grandchildren. She was preceded in death by her parents; brother, George Hebert; first husband, Don Hickethier in 1982; and her husband, Gordy Hetzel in January 2016. Mary married Gordy Hetzel in 1984. Together they built the Rose Garden Assisted Living, adjoining Hetzel Care Center, committing their service to seniors of the Chippewa Valley. Mary endured over 10 years of chronic pain until surrendering to ALS. Sincere appreciation is extended to all the friends and family who supported her in the battle of facing the challenges of this disease. A special thank you goes to dear friend, Arlene Dennis, St. Joe’s Hospice, and most importantly her ALS support group under the leadership of Donna Meier. Visitation will be held from 10-11 a.m., Saturday, March 30 at First Congregational United Church of Christ, 1324 15th Ave., Bloomer. A funeral service will be held at 11:15 a.m. with Rev. Pauline Bangle officiating. All are invited to share in a luncheon immediately following the service at church. Interment will be at a later date. In lieu of flowers, memorials are preferred to Mary’s Church (FCUCC in Bloomer) or the ALS Support Group, CVBC c/o Donna Meier, 531 E South Ave., Chippewa Falls, WI 54729. Mary’s suffering reminds us to never miss an opportunity for adventure.